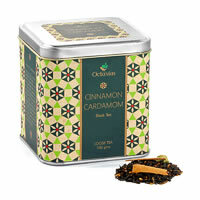 Feel the rejuvenating aroma of herbs along with the special traits of green tea with Octavius cinnamon anise green tea. It will surely tranquilize and pacify you to a calm and relaxing mood. This brew gives you a lavish experience and weaves magic in every corner of your soul with fragrance, warmth and sweetness. Octavius Tea, a brand with almost more than century of legacy and heritage and unfailing commitment to taste and quality. Octavius Tea exerts complete command over the tea plantations and its produce, with the objective of delivering the hallmark of Octavius Tea. 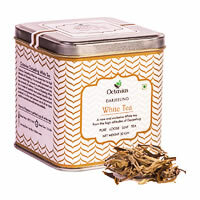 Tea is indeed a royal beverage and is often said to be the honey brew of the hill slopes. 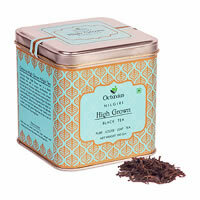 Octavius brings premium teas from different harvesting seasons, also called flush teas in gourmet tea terminology. Each tea is made from choicest selection of leaves, plucked with precision and packed within days from harvest. Only the choicest leaves, selected after stringent screening and careful supervision, go into making an exclusive pack of Octavius tea. 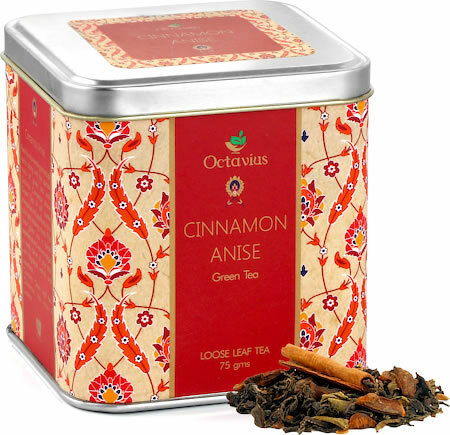 When you open a pack of Octavius Tea, the aroma of freshness will immediately transport you back to our serene sun kissed tea gardens, surrounded by beautiful hills. 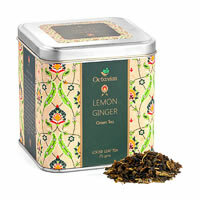 Every sip of Octavius Tea will leave behind a taste that is unparalleled in flavour, strength & quality. Sip the Octavian flavour and adore its reverie.